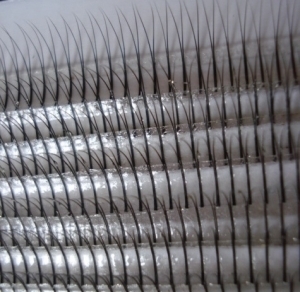 This Longer-Life Coating protects XXL Lashes and extends their lifetime. Every glue has a limited adhesive life. In order to lengthen its life, the best way is to use Longer-Life coating. 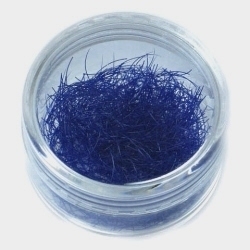 This coating is specifically designed for eyelash extensions. The 10 ml liquid is in a clear glass bottle and can be easily applied on the XXL Lashes with the mini-brush mounted inside the bottle or using a Micro Fibre Brush. It should be used after the initial treatment from the Professional, but also the client. 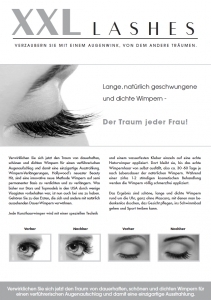 Application on a daily basis helps contour and hold the extended lashes - just like hairspray for eyelashes. The sealer protects eyelashes from moisture and shocks and makes them look more vivid and shiny and extends their lifetime enormously. 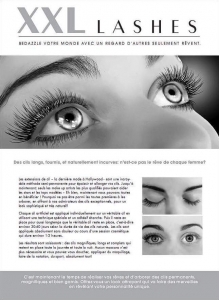 Clients should be able to buy this product directly from their professional after the eyelash extension service.